Enjoy all the features of H.O.T Day Out at the best price. Our VIP guests can enjoy an exclusive, decorated VIP space in the best position of the festival, with seating and VIP tables available, Featuring a Laurent Perrier champagne bar & a Gin-Fusion bar Curated by The Botanist Gin. This is the place to be at our festival if you are looking for a premium experience. 5) This ticket is a revocable license and the Management of HOT Day Out Management reserves the right, without the refund of any portion of the ticket purchase price, to refuse admission or to eject any person who fails to comply with the rules of the venue and applicable laws. 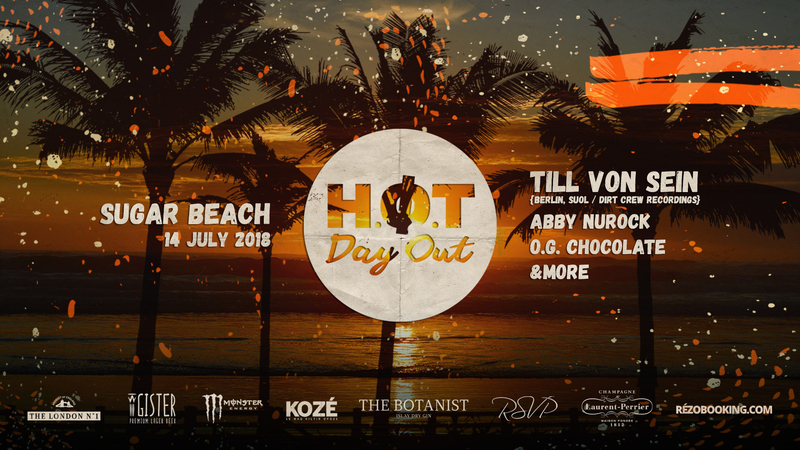 10) This ticket may not be used for advertising, promotion or other trade purposes without the express written consent of HOT Day Out Management. 11) The ticket user consents to use of his/her image or likeness incidental to any video display, transmission or recording of the event by HOT Day Out Management, the venue or the artist. 12) The use of cameras, video or audio recording equipment is prohibited unless otherwise indicated by HOT Day Out Managements, the venue or the artist.